Initial results from our bioblitz event indicate that we recorded over 350 species in on day including over 50 birds with highlights being redstart, spotted flycatcher and honey buzzard! The time of year is a good time to focus your attention on some of the smaller creatures that call Broadwater Warren home, invertebrates are abundant in the summer with 18 different dragonfly and damselfly species being recorded on the reserve. Its also a good time to look out for silver washed fritillary and white admiral butterfly in the woods. 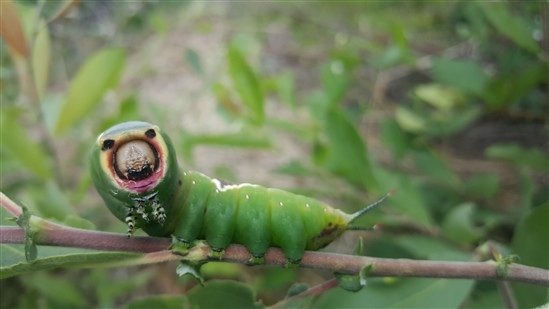 This unusual looking caterpillar of the puss moth was found feeding on willow down by the decoy pond the other week! 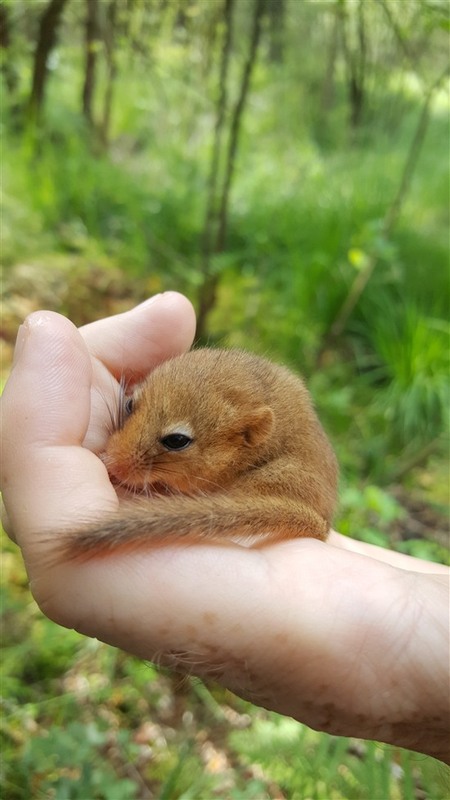 We have also been busy carrying out dormice surveys on the reserve, normally this time of year they are quite active but this one decided to dose off in my hand. We have 2 events coming up that will be great fun for families and adults alike. Come down and have a ramble on the reserve looking for insects and carry out some pond dipping on our new dipping platform on decoy pond. The family ramble is on the 29th July and the 10 year anniversary event is on the 19th August. More information can be found on our events page on the website.